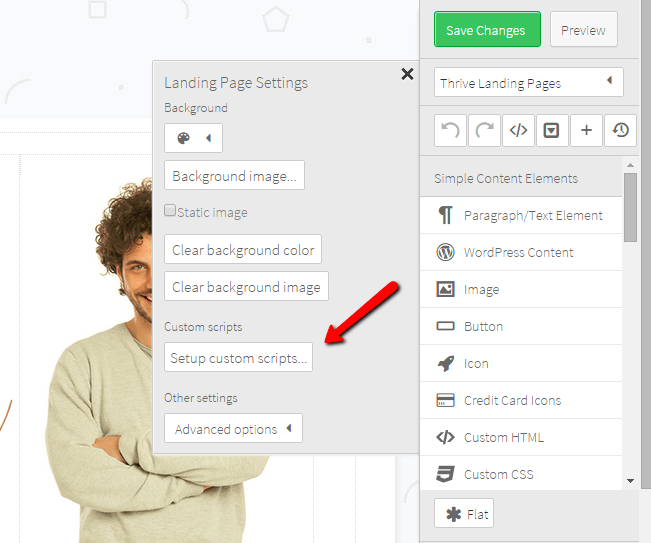 If you want to split test your landing pages to get the best conversions, there is a very easy way to do it. ​But what is Split Testing? 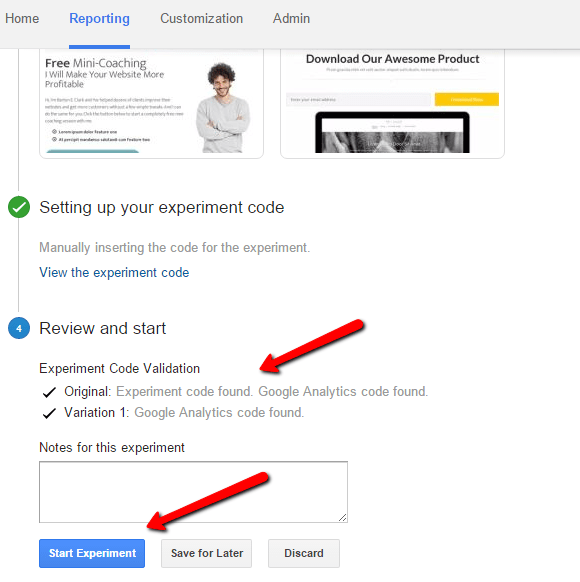 Split testing or A/B testing is jargon for a randomized experiment with two variants, A and B, which are the control and treatment in the controlled experiment. ​As the name implies, two versions (A and B) are compared, which are identical except for one variation that might affect a user's behavior. Let's suppose the cost per click is $1. Imagine you have a landing page 1 (LP1) converting at 30% and you sent 100 clicks to that landing page. That means you got 30 subscribers for $100. Let's run the numbers again with 100 clicks. ​With 100 clicks you got now 50 subscribers. The cost per click is $1 again, so $100 to get 50 subscribers. 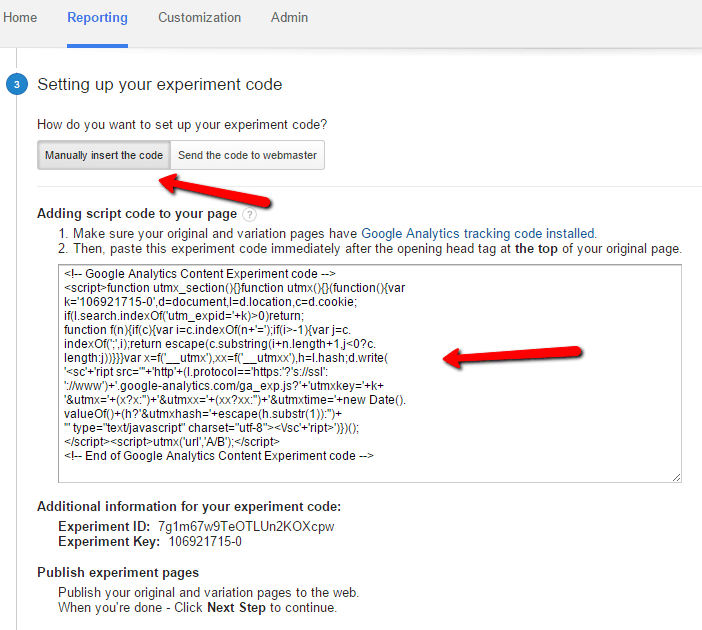 In this guide, I assume you already have Google Analytics installed in all your pages (the 2 LPs and the thank you page). 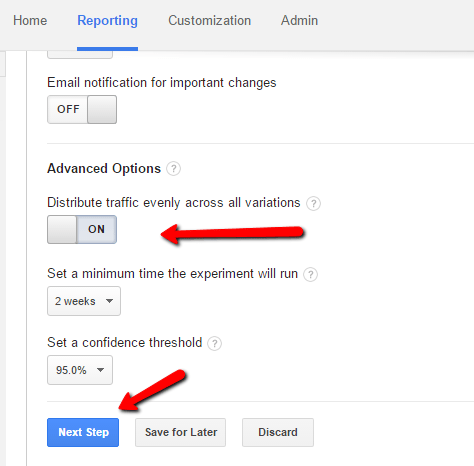 ​Recently I wrote a post about creating a Goal in Google Analytics. If you haven't read it yet, then go and read it 🙂 then come back here. ​In this guide the thank you page will also be /thank-you where the goal will fire. 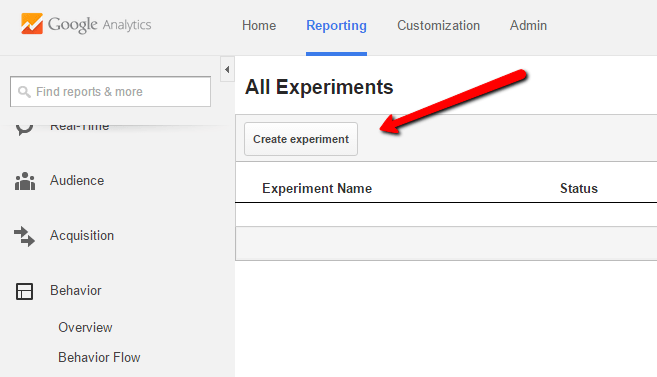 ​Give a name to your experiment and select the experiment objective by selecting the goal you've created in Step 1 and click on Advanced Options. Turn ON the distribute traffic evenly across all variations. 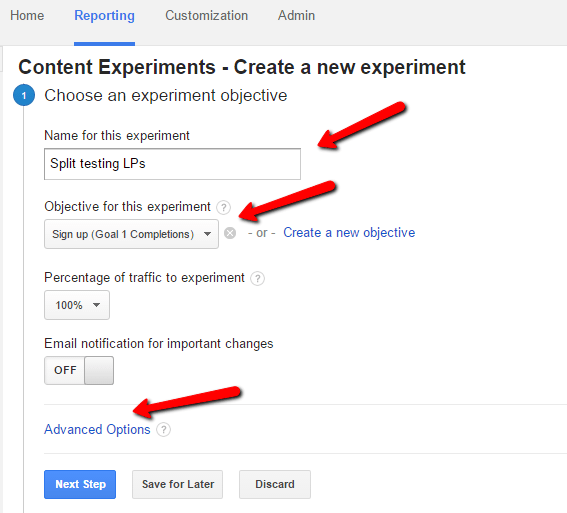 If you are sending a lot of traffic to your LPs, you can set the minimum time the experiment will run to 3 days or one week. 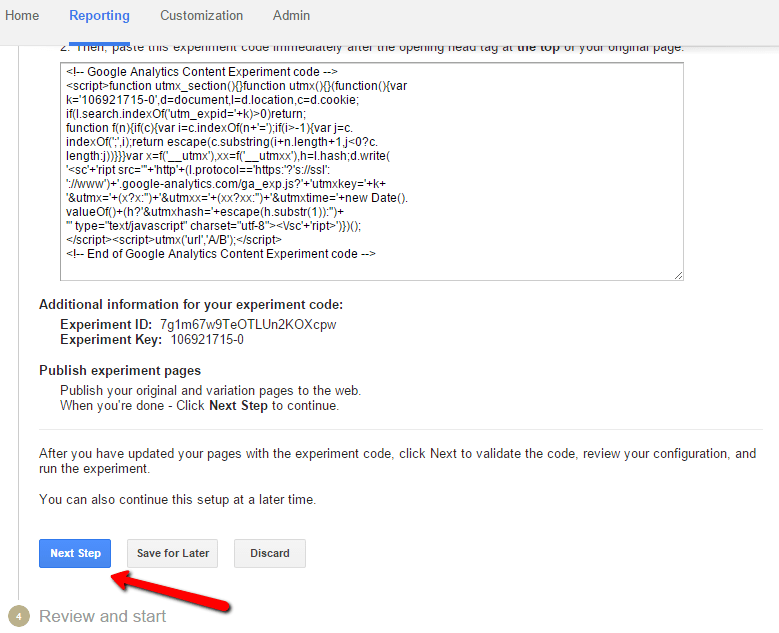 Configure the experiment by entering the 2 URLs you want to split test without the http:// as shown below. Then click on Next Step. Click on Manually insert the code and copy the code. Now go to your landing / optin page. I am using WordPress with Thrive Content Builder which is a very robust drag and drop page builder. 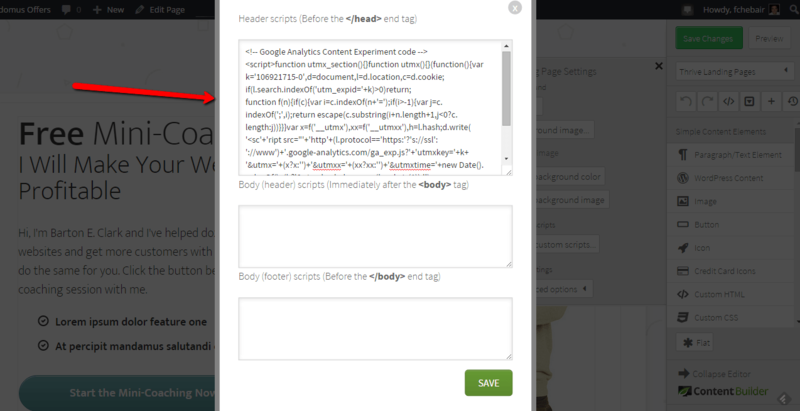 Paste the code in the <head>code</head> section of your page and save the page. Click on Next step to validate the code and to check that everything is OK.
You should now get a validation tick that means it all went well. You can now Start the experiment. Now you can see the experiment is running. 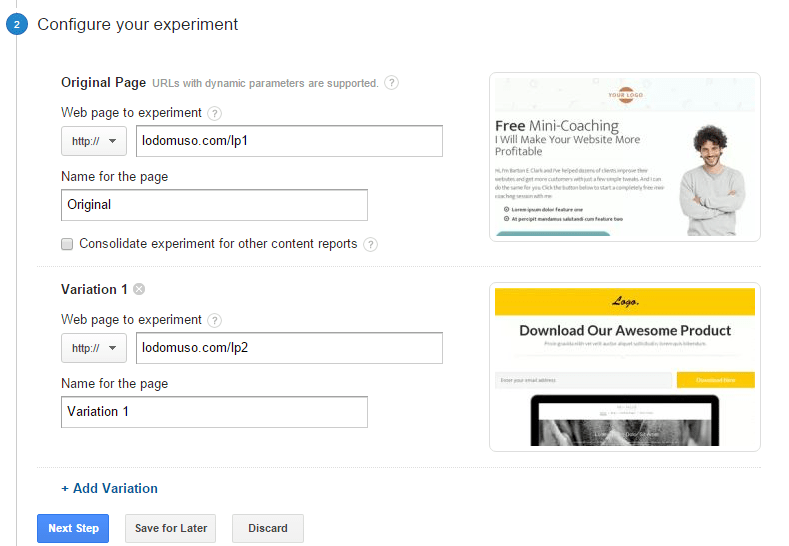 ​You should now open the traffic to the first URL (LP1) and Google Analytics will do the split testing for you. Let it run for 2 weeks or until it finds a winner. I've setup my experiment to run for 2 weeks. If, however, there is one page that is clearly outperforming the other, the experiment stops early. 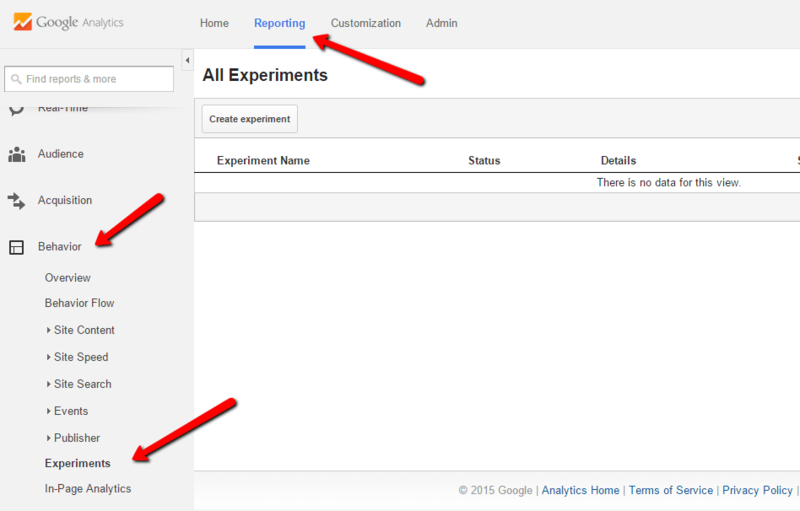 Keep in mind that after your experiment ends, all users see the original page until you replace it. 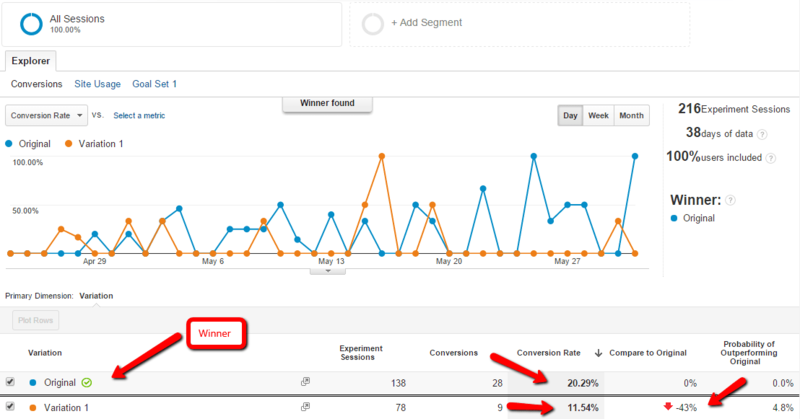 Here you can see the Original landing page has a better conversion rate (20.29%) than the variation (11.54%). I hope this helps and if you have any questions, post them in the comments. 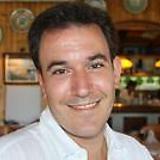 I'm Fernando, the guy behind Lodomus. I love everything related to online marketing and ecommerce.